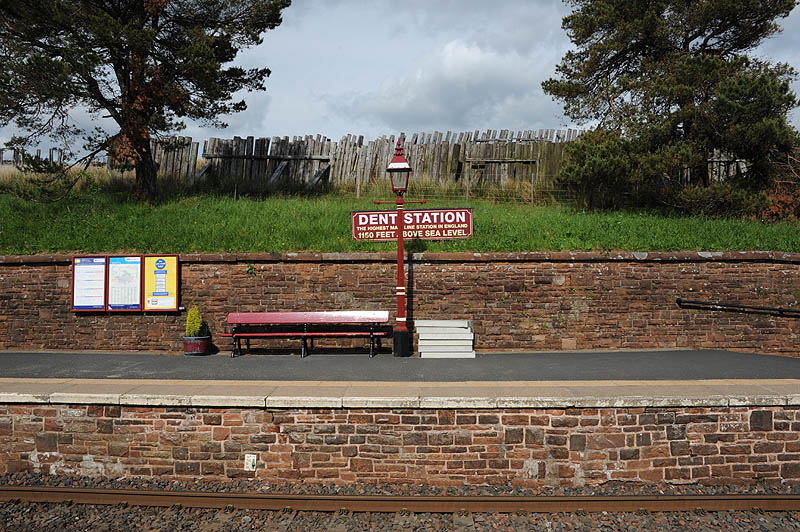 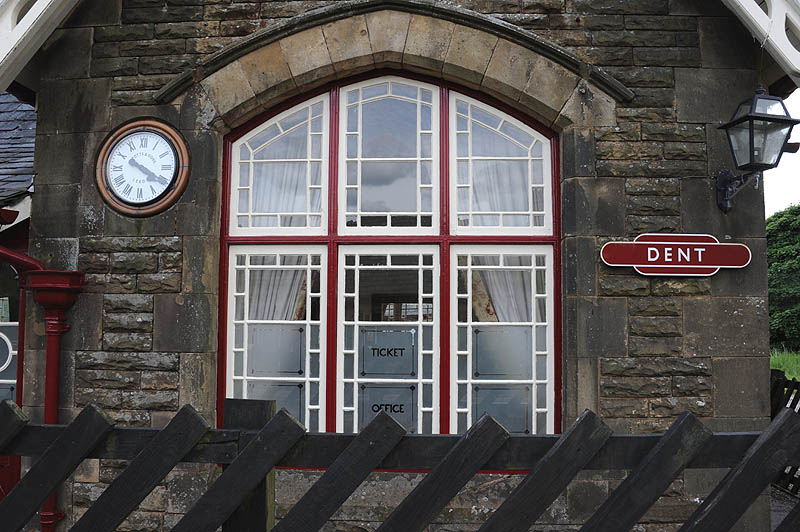 Dent is a small station on a ledge 600 feet above the village of Dent. 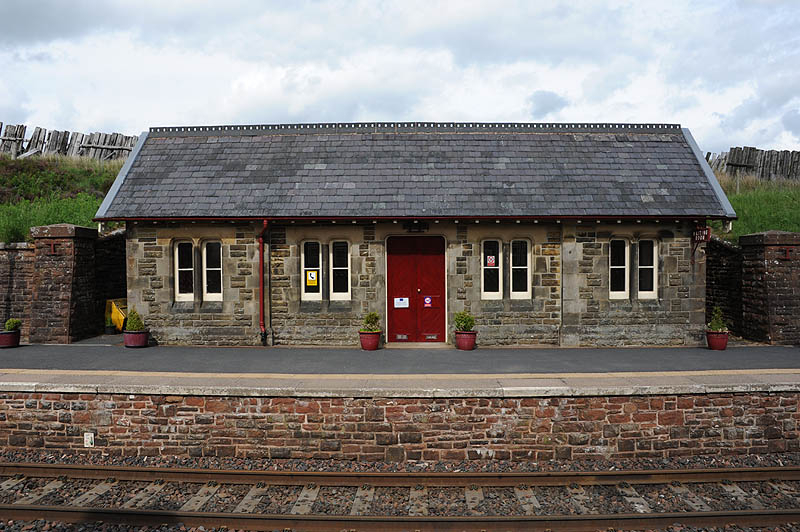 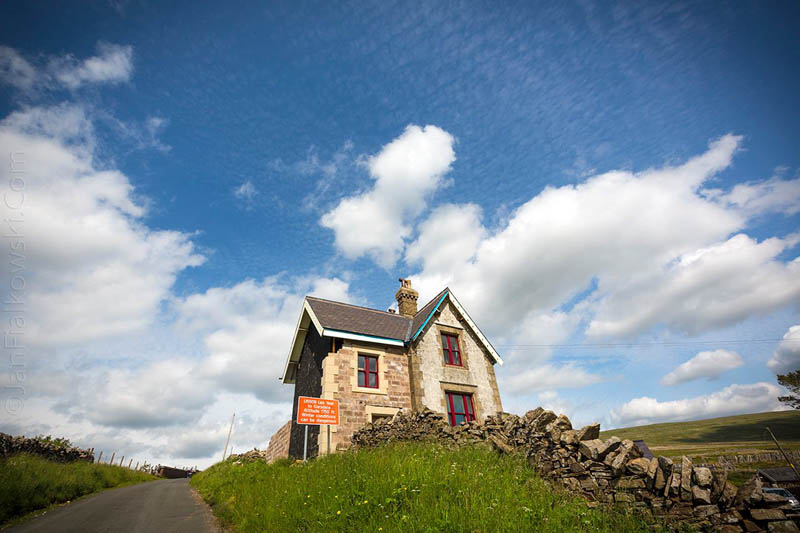 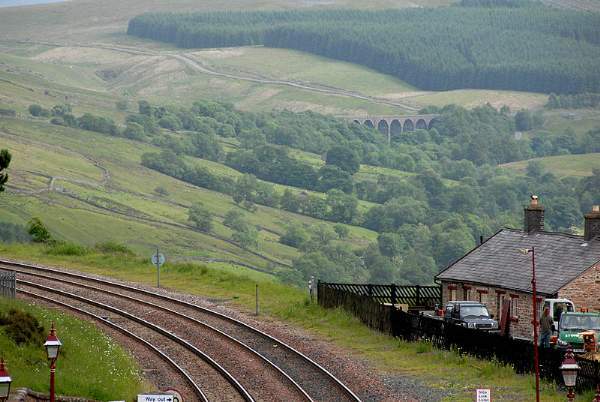 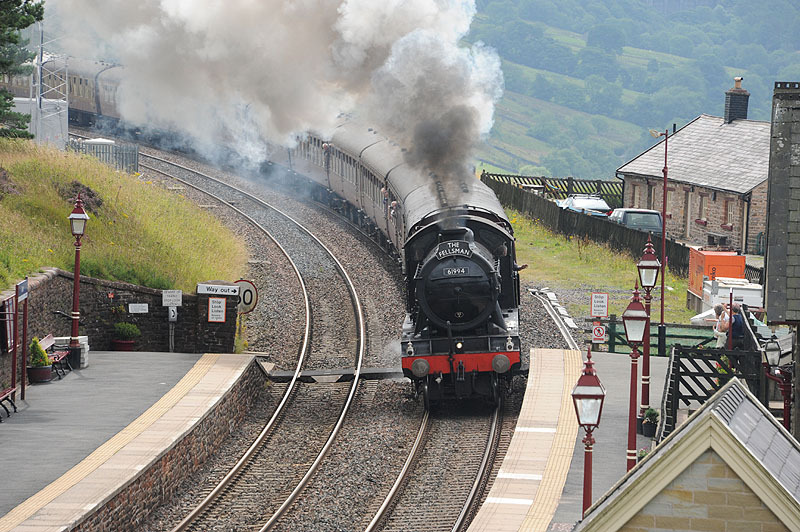 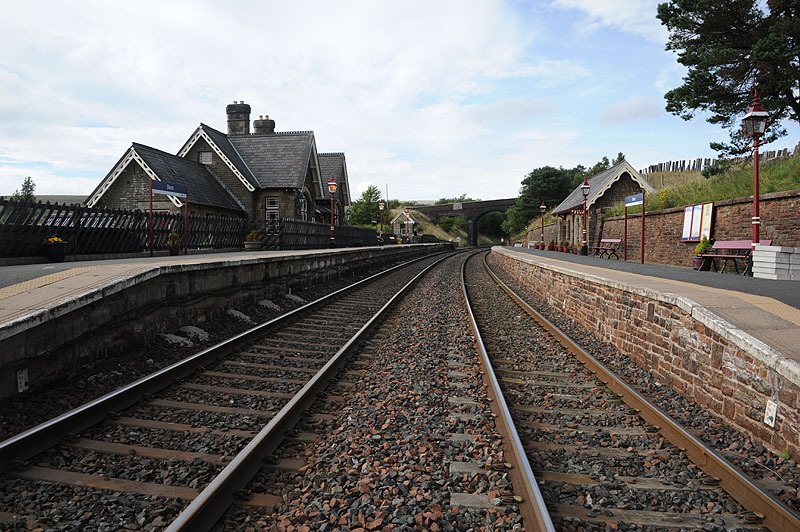 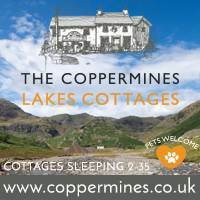 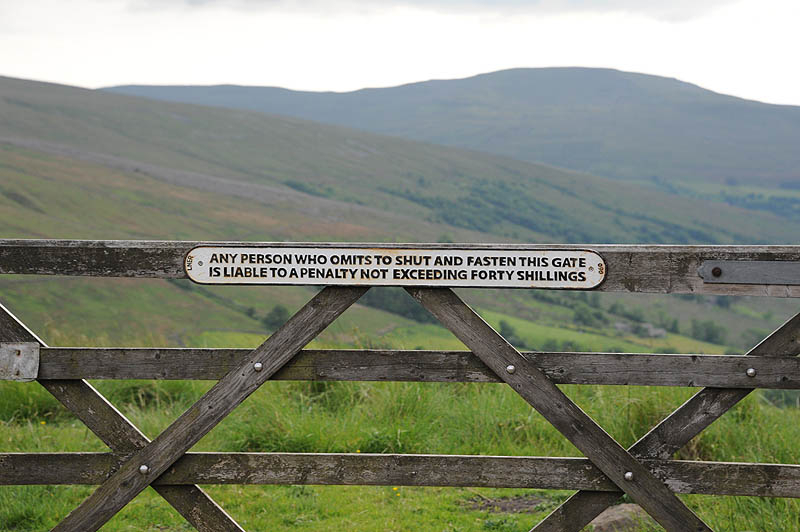 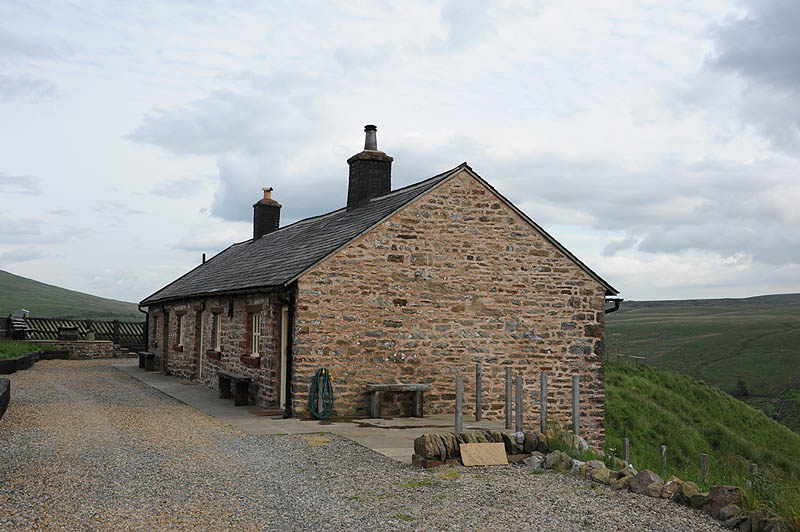 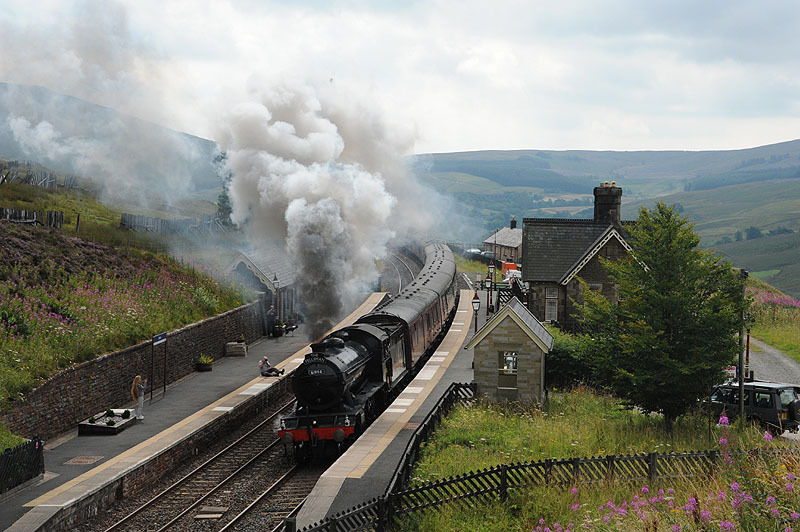 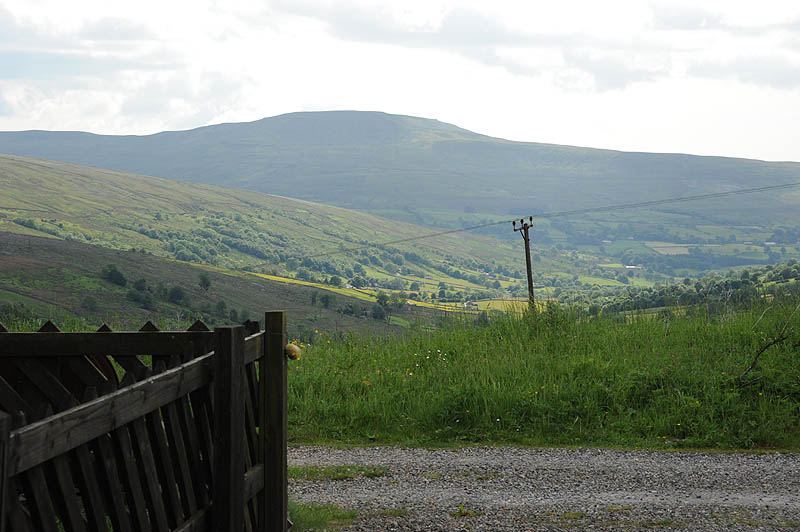 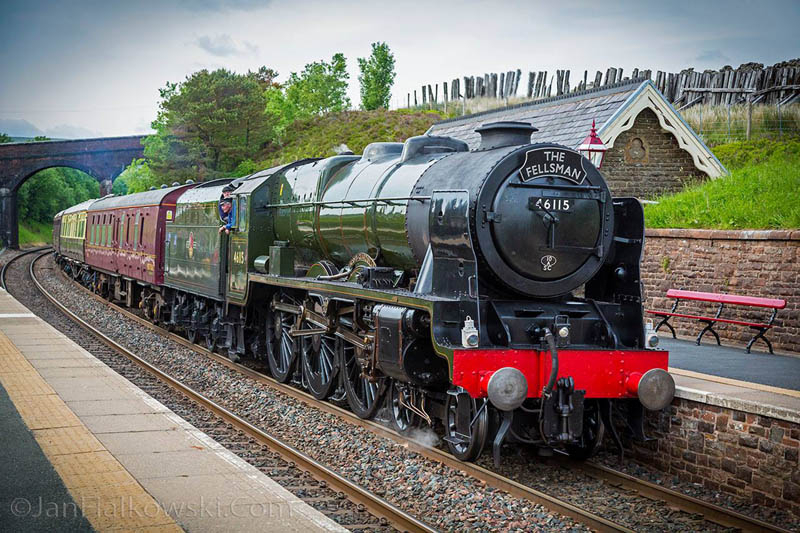 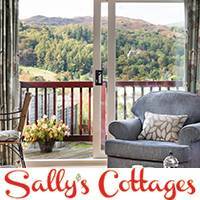 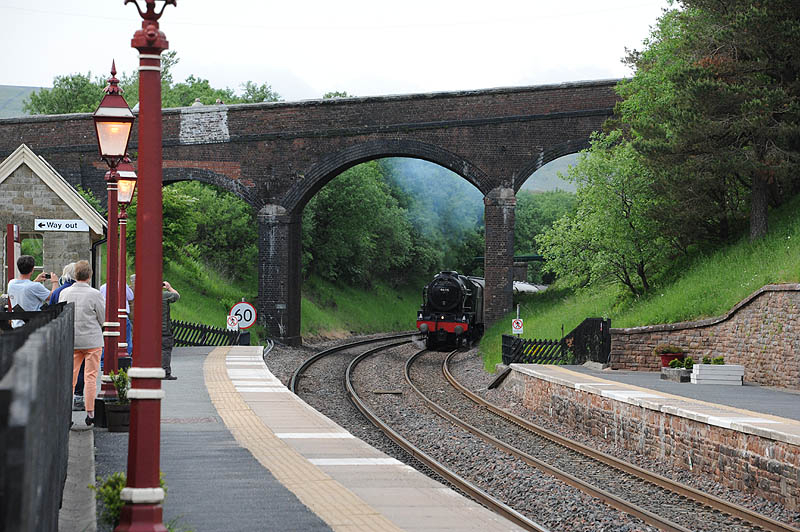 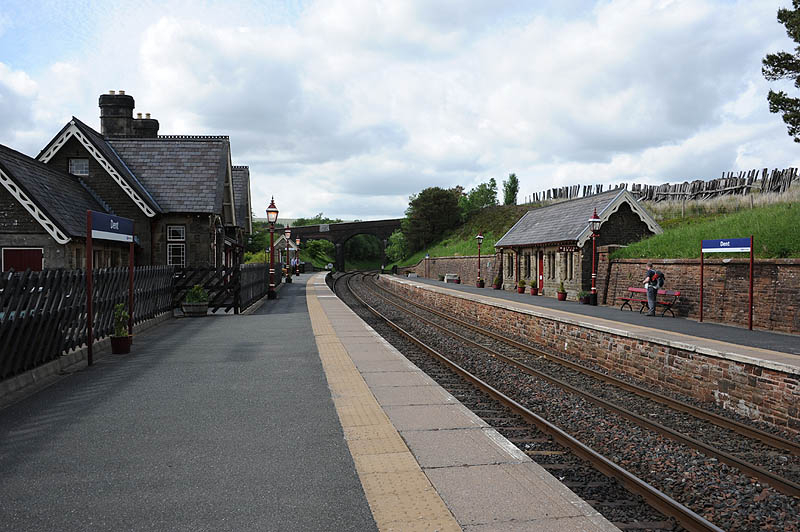 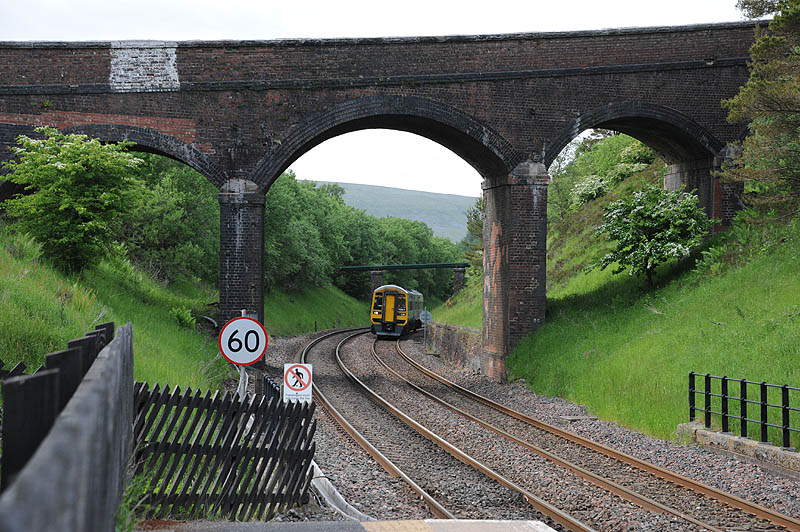 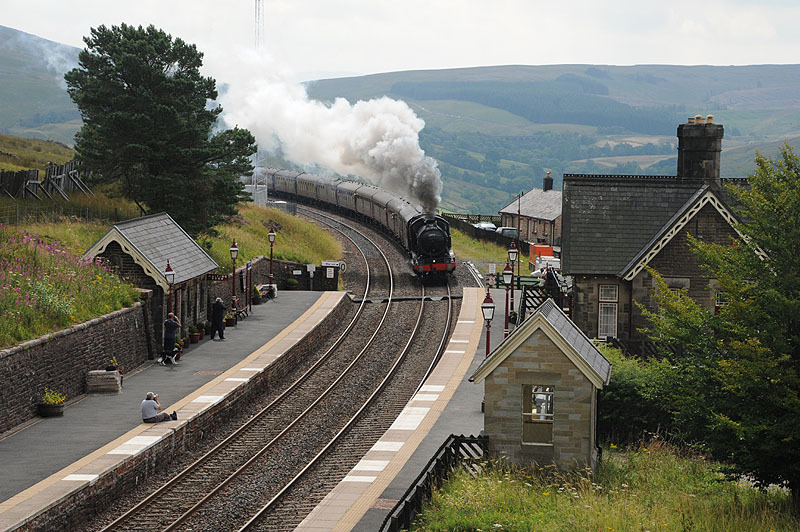 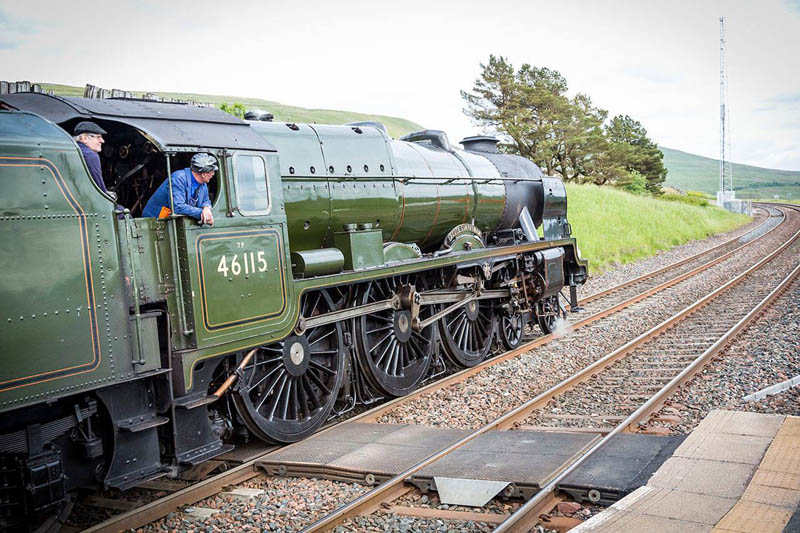 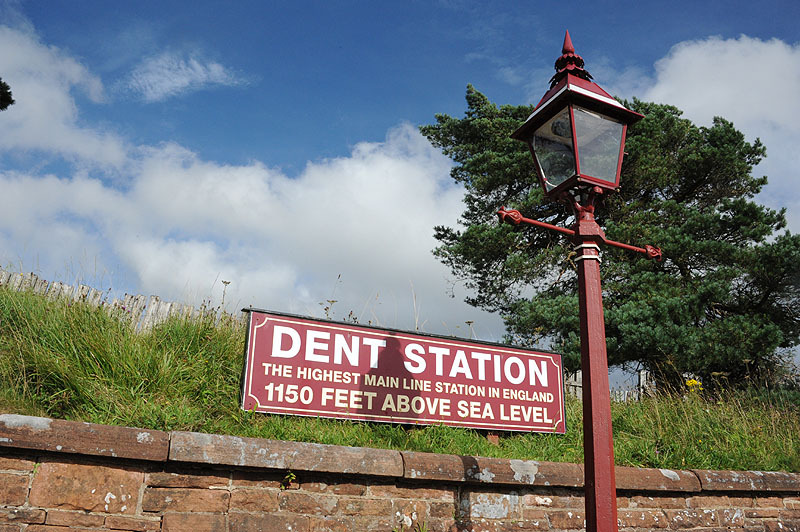 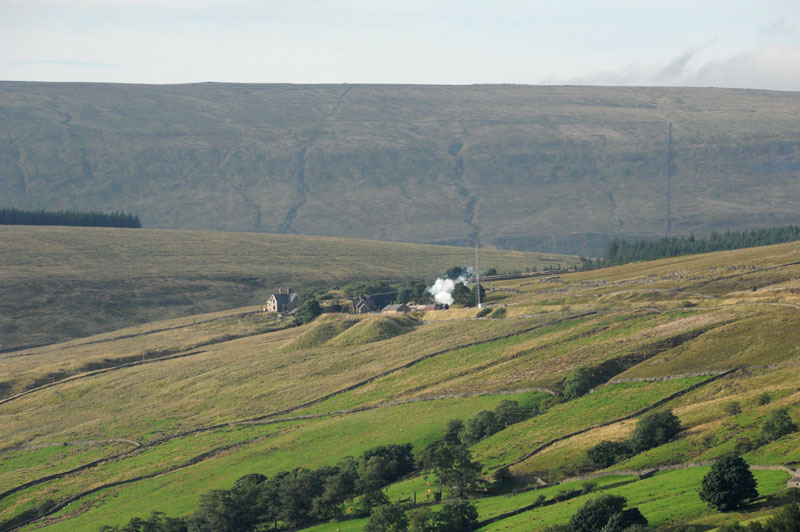 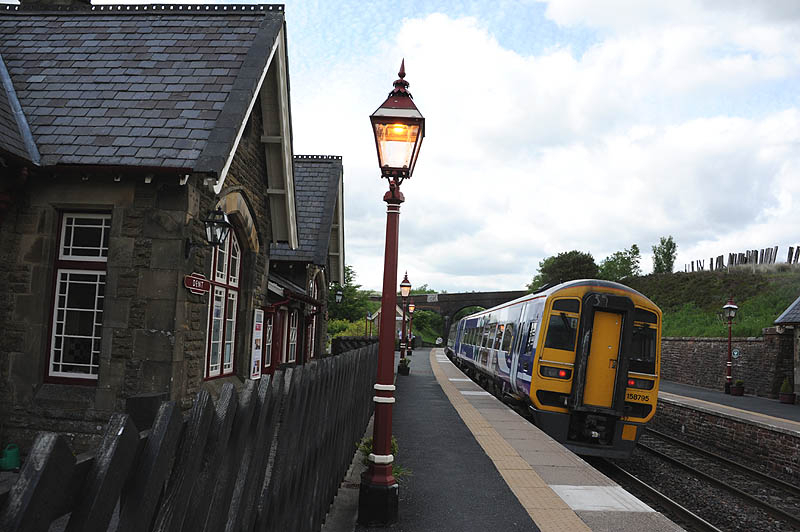 At a height of 1150 feet above sea level, it is the highest station on a main line in England. 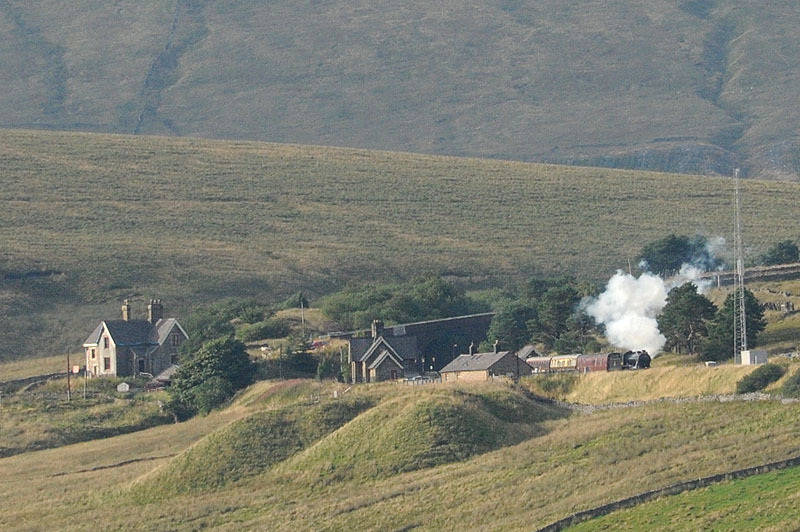 More conspicuous than the station is the station master’s house, at an even higher elevation, which is slated on three sides as defense against the weather. 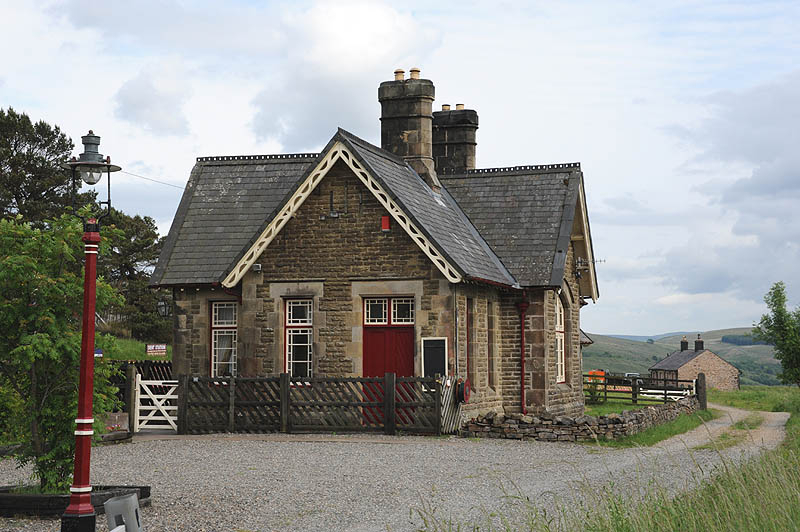 The main station building and the house are now both privately owned, but there is a small shelter on the southbound platform, and a new waiting room on the northbound platform. 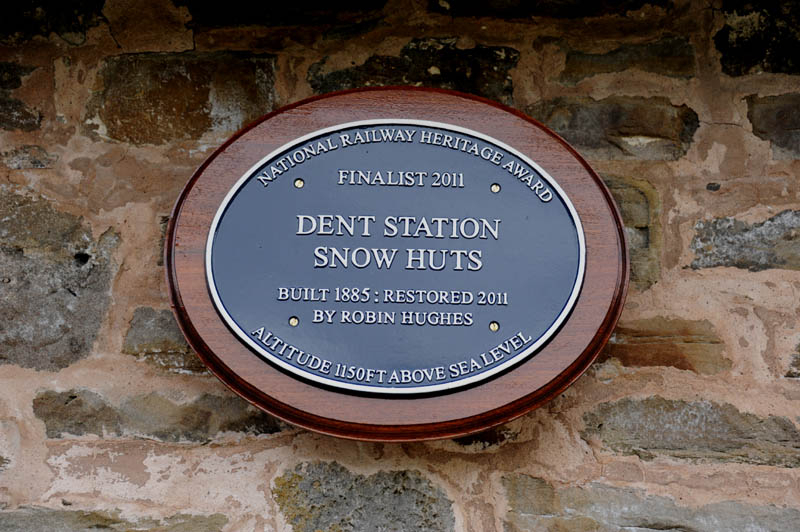 The village of Dent, with its cobbled streets, is five miles from the station (on the Dales Way), and has the 12th Century Church of St Andrew, and a memorial stone of Dent ‘marble’ to Adam Sedgwick, professor of geology at Cambridge University. 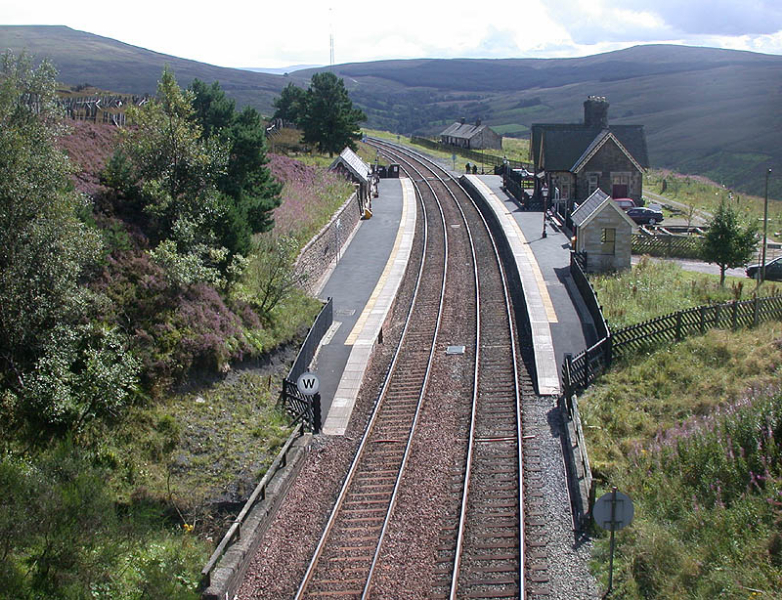 Notice the up-jutting railway sleepers, which act as a snow fence. 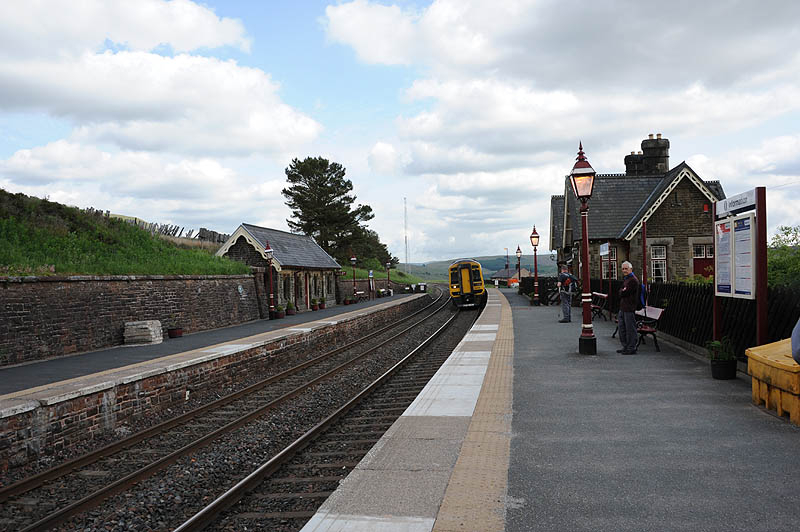 There is free car parking at the station. 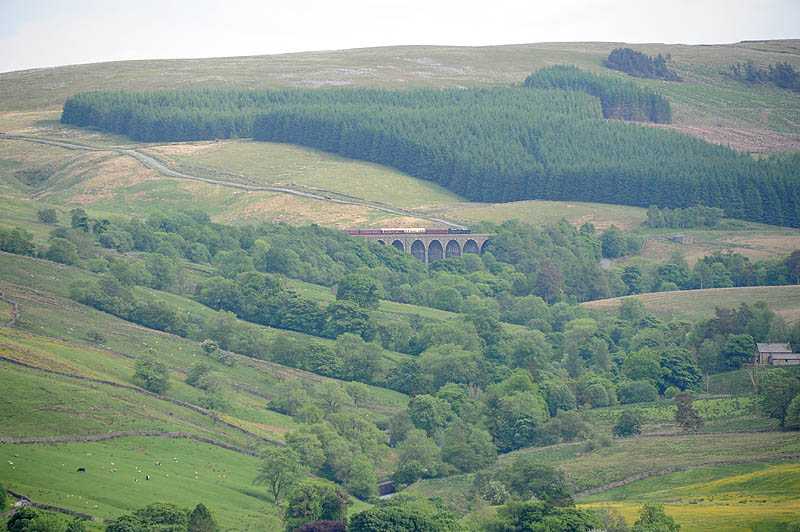 From Dent the railway travels south over 2 impressive viaducts, Arten Gill and Dent Head, then through the long Blea Moor tunnel before going over Ribblehead viaduct. 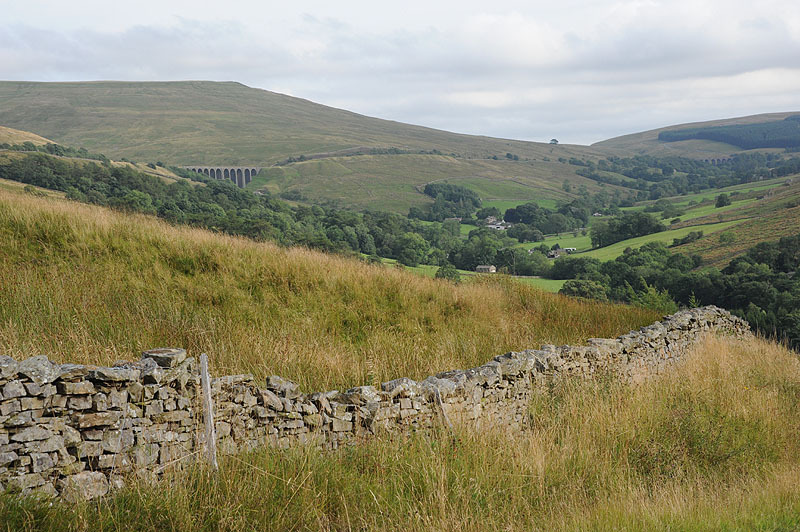 Below is Dent Head viaduct seen from Dent Station.